Serving Memphis, TN and the greater Memphis area since 1950! We provide residential and commercial sales and installation of carpet, ceramic tile and natural stone, hardwood, laminate, vinyl, bamboo, and cork flooring. We have a wide selection of oriental rugs at our Walnut Grove location, and we also provide floor refinishing and resurfacing, rug binding, custom rug making, and floor repair services. Our knowledgeable, friendly, and experienced flooring professionals are here to provide you with outstanding service from start to finish. 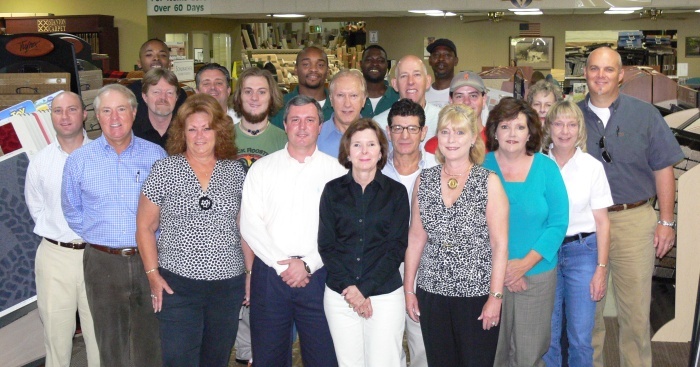 From helping and guiding you through the floor selection process to top-notch installation and follow-up, the Kiser's team has got you covered. 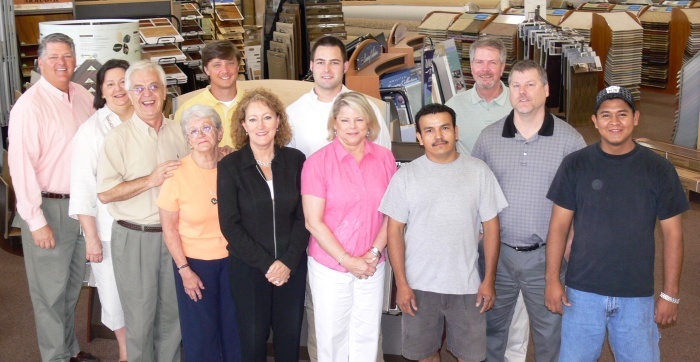 Several of our sales professionals have over 25 years of experience in the floor covering industry, and all of them undergo continuing education to keep up with the latest in flooring technology, products, and trends to better serve our customers. Our friendly and courteous installers, members of the International Certified Floorcovering Installers Assocation, are dedicated to the highest quality installation in the business. They regard themselves as guests in your home and will conduct themselves as such, leaving your home as neat and clean as when they arrived. This is the warranty that made us famous. Throughout the life of your carpet, temperature and humidity changes can affect the way your carpet lays. Five years from now you may need a re-stretch. Just give us a call and we will come out and fix it for free. It’s just that simple. Please note that in most installations, seams are necessary. Our installers are trained to minimize seams; however, seams are inevitable and will not be invisible. This is quite normal, should be expected, and is not covered by this installation warranty. This lifetime installation warranty is for owner occupied homes only. No Rentals, Second Homes or Commercial Installations – Non-Transferable. This warranty applies only to installations performed after January 1, 2008. With our "No Regrets Guarantee," if at any time during the first 30 days after installation you decide you don't like your new flooring for whatever reason, just let us know. We'll replace it free of charge. (With an outrageously good guarantee like this, we can't include the cost of installation, so you'll have to cover that). We will be happy to come measure your flooring project free of charge. Contact us today! We offer competitive pricing every day on the industry's best products. We install all types of commercial flooring, including heat-welded sheet vinyl, vinyl tile, ceramic, marble, direct glue carpet, double stick padding, and rubber flooring. Contact our commercial division manager for any additional information and quotes.